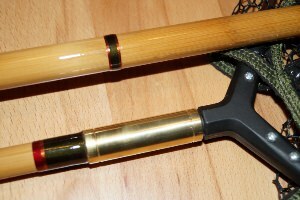 some time ago I bought a Martin James 11' bamboo rod with split tip section. Well, I actually intended to restore the rod. 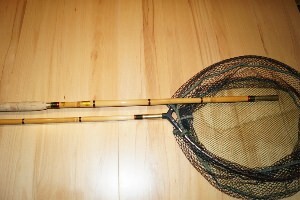 But after taking a closer look at the rod, I came to the conclusion that it's better to do something else with it. 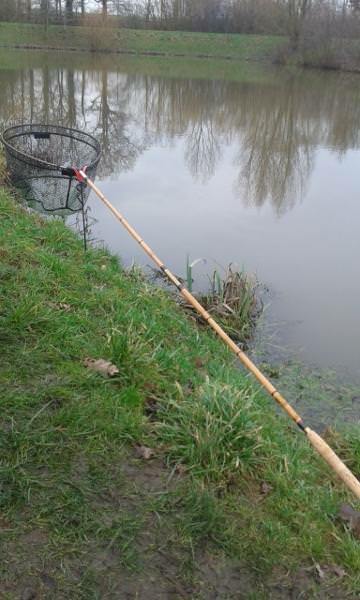 Our river the Ems has many steep banks and I have often thought of having a long landing net handle, which facilitates the landing. So I came up with the idea to remove only the split part and put on a self-twisted brass fitting. 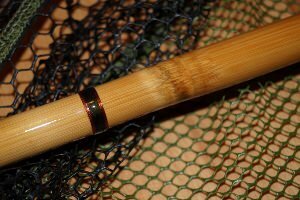 So I got a two-piece rod with a length of about 9'. 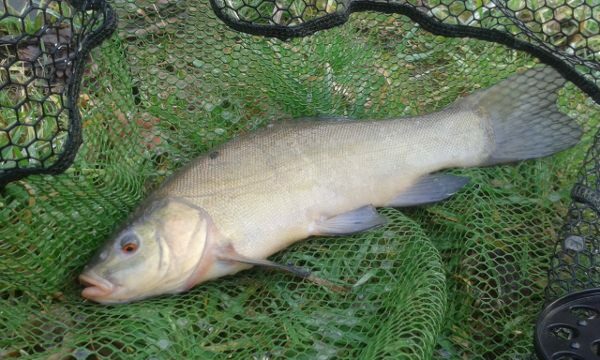 I think the landing net handle with this length is still strong enough for roach and dace...I'll see that when the water level drops in the spring. Cracking job there GF, well done indeed! That’s a good looking handle. 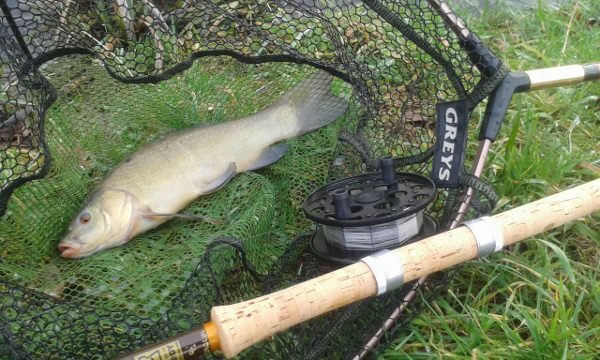 I hope you get to give it a good test on the roach and dace sooner rather than later. 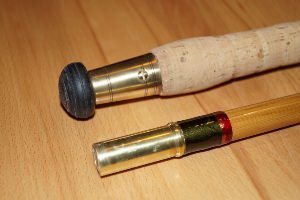 Very nice indeed.Traditional angling values at there best not discarding an item but transforming it in to another usable piece of angling kit,which I for one would love to have in my rod bag. 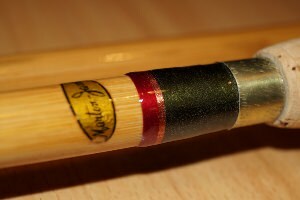 Looks excellent, I have 12' Bennet's of Sheffield cane match rod with a glass tip which I think I could copy you. Did you make the brass end fitting or are they commercially available. 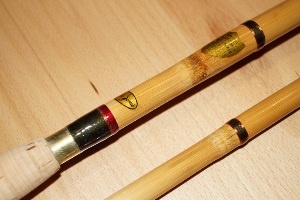 I made the brass end fitting with my lathe, exactly adapted to the diameter of the bamboo rod. JW I write you a PM. 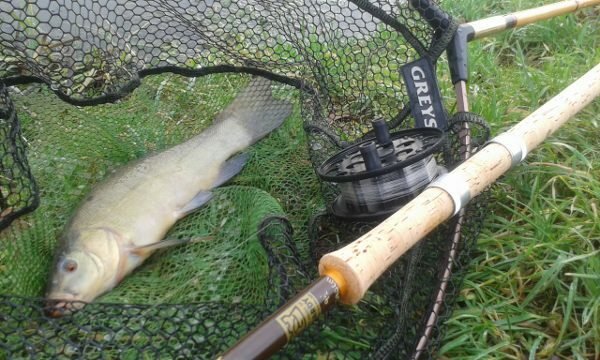 The landing net handle has done a good work even with the tench there were no problems.